Our clear span sport tent is safe and steady, solemn and elegant, flexible and convenient. It is suitable for construction in every site. Coupled with its long service life, tent is becoming one of your top choice while considering a temporary building. We can customized your needs your space planning requests, no excess facilities attachment. 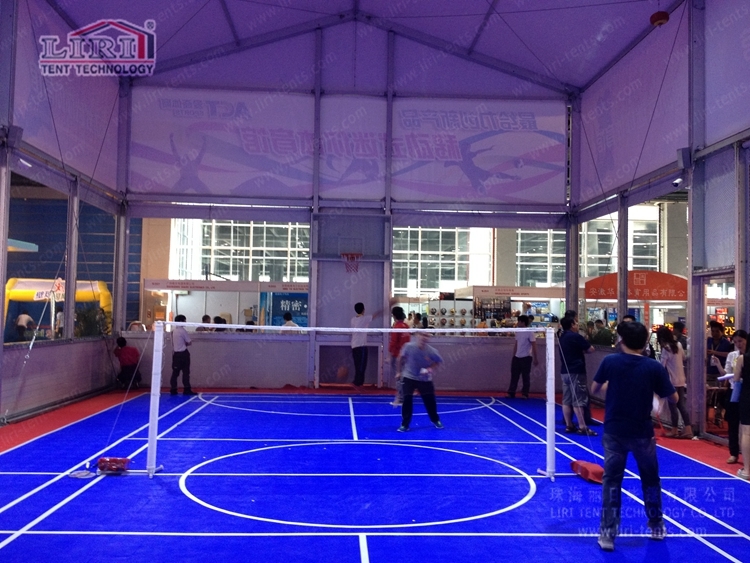 Tent Structure is available from 10m to 60m clear span width, and no limited increment on Length. A-Shaped top, Polygon, Curved are the popular in the market. Thanks to modular design, tent structure is ideal for temporary usage and easy to have installation as well as dismantle. It will save you lots of time and building cost. 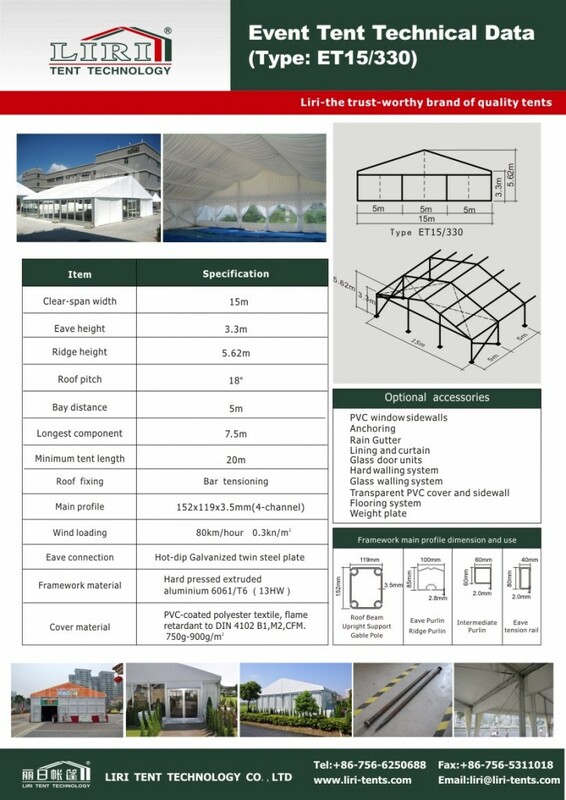 With Heavy duty PVC fabric sidewalls, tent structure have good ability to against water, flame, UV and windy.